An in-home care provider, based in Hemel Hempstead, has been given a GOOD rating following a recent CQC inspection. Ahsan Sajjad, Managing Director of Caremark Dacorum & St Albans, and Care Manager, Gemma Smith, were both delighted with the result. Inspectors rated Caremark, an in-home care service who offer personal, live-in and specialist care to clients throughout Hemel Hempstead, St Albans and the surrounding areas, “Good” across the board – in safety, effectiveness, caring, responsiveness and leadership. 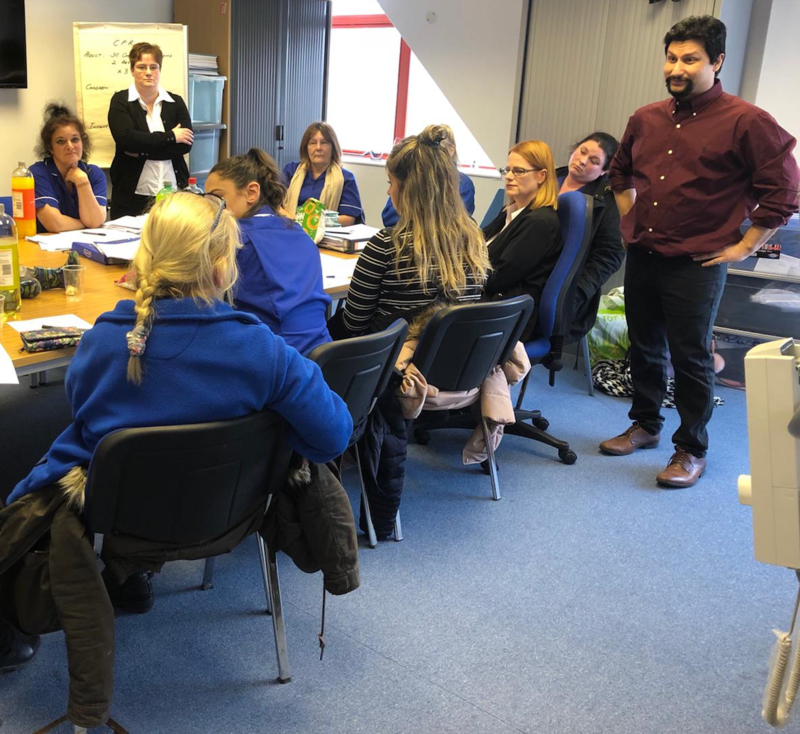 This was the first inspection carried out on Caremark Dacorum & St Albans by the Care Quality Commission (CQC) since Ahsan – known as Ash – received his CQC registration, in October 2017. As a testament to this recent result, the specialist care provider has also been awarded an ‘Excellent’ rating, following an inspection by the Directors of Adult Social Services. Ash, who also runs two neighbouring in-home care offices, Caremark Welwyn & Hatfield and Caremark North Hertfordshire & Stevenage, is proud to work with individuals who are so devoted to their local clients. Image attached – A hi-res image of Ash Sajjad, with his team, in the Caremark office, based on Maxted Road in Hemel Hempstead. Further photos available on request.